JOHN WILCOCK: Ladies and Gentlemen, Lenny Bruce! 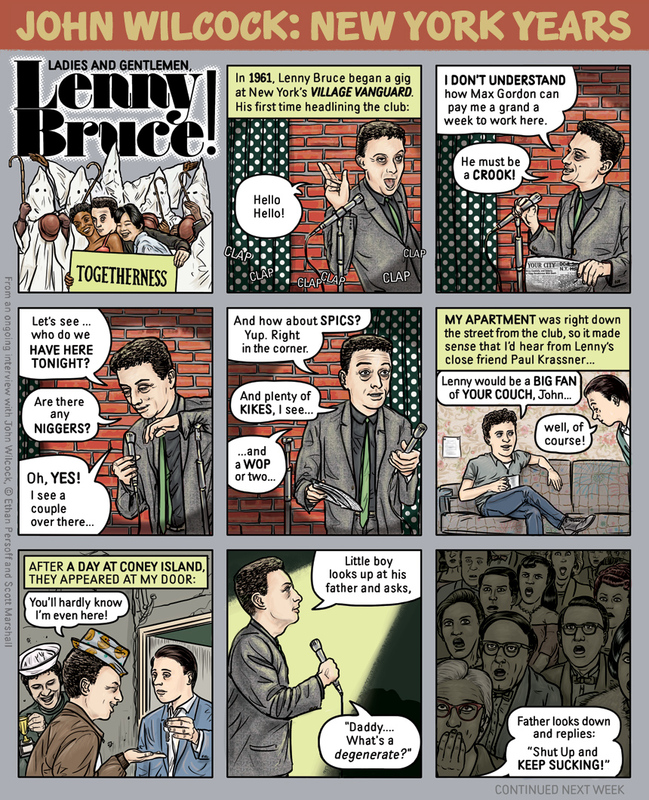 JOHN WILCOCK returns to Boing Boing for Chapter Six, with the first of two installments on Lenny Bruce. "Ladies and Gentlemen, Lenny Bruce" will conclude next week. Paul Krassner's Impolite Interview with Lenny Bruce for The Realist. Marc Maron's WTF podcast interviewing Paul Krassner, discussing Lenny Bruce.